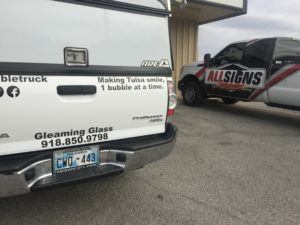 Today is the day of the install for the new phone number on Tulsa’s most popular window cleaning truck. 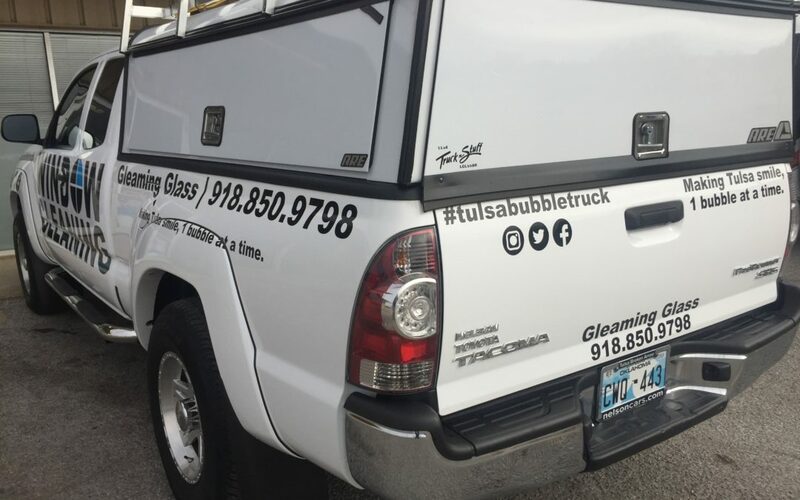 Now, customers will actually be able to get ahold of us when they call the phone number on our window washing truck! For the last couple of winter months, anyone who called the phone number on our window washer truck 3,000 most likely couldn’t get ahold of us. Update: We are currently at AllSIGNS getting the new phone number vinyl lettering installed! I just sat down 10 minutes ago in their lobby and didn’t even have enough time to finish typing this blog post before they were finished installing the lettering. I can’t recommend ALLSIGNS enough!